Apple has been always at the top of the tech world. It has been carried with its tag line Think Different. The iPhone is one of the most successful products of all time and Apple’s iOS platform runs on over 600 million devices worldwide. Let’s cast our eye back over the last few years and take a look at how the platform has changed. Few could have predicted the impact it would have, here’s how we covered it – Apple announces internet-ready iPhone. Look at the video to remember those talks of the techie guru Steve Jobs during his first iphone release. What made iOS 1.0 special? The excellent user interface was designed for multi-touch operation and kept the resistive touch away into junk and the iPhone had a 3.5-inch capacitive touchscreen, which made it faster and more intuitive than any of the competition. 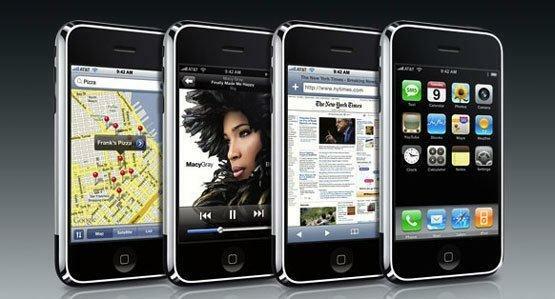 It also offered a vastly improved mobile window to the internet (including the best version of Google Maps to date), and it encompassed everything that was good about the iPod. It wasn’t perfect, our review of the original iPhone bemoaned the lack of 3G, no wireless iTunes syncing, no external memory card slot, and no stereo Bluetooth, but that didn’t stop it getting an Editors’ Choice award and scoring 4.5 out of 5. 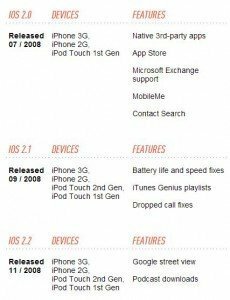 There had already been two updates when iOS 2.0 came out on the iPhone 3G in July 2008, and there would be many more, but this was arguably the most important for the platform because it ushered in the age of apps. 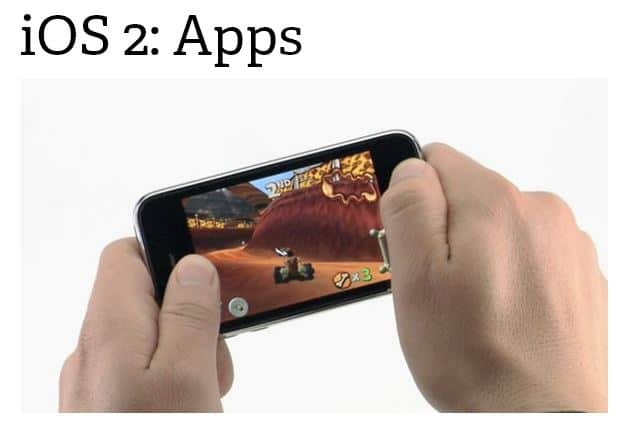 The iOS 2.0 release brought the App Store and the SDK with it. 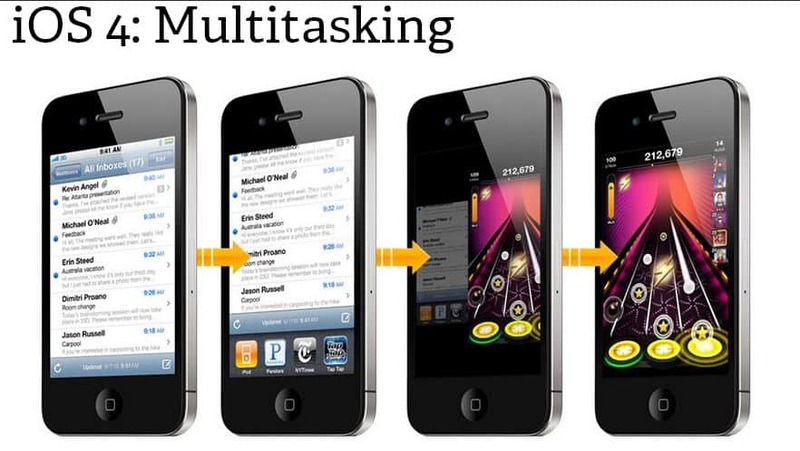 The platform has been the first choice for mobile app developers ever since. Lots and lots of little features rolled out to make the whole iOS experience, on the iPhone 3GS, that little bit more intuitive and smooth. We got push notifications for third-party apps, parental controls, tap to focus in the camera, in-app purchases and subscription models, universal search with spotlight, and cut, copy, paste for the touchscreen age. There was also the option to buy movies, TV shows, and books direct from iTunes on your iPhone or iPod Touch. It was time for a major new device as the iPad burst onto the scene, and that meant new user interface and app designs to match the larger screen. It was more than just a resolution bump, extra panes and sidebar lists were introduced to make more use of the screen real estate. 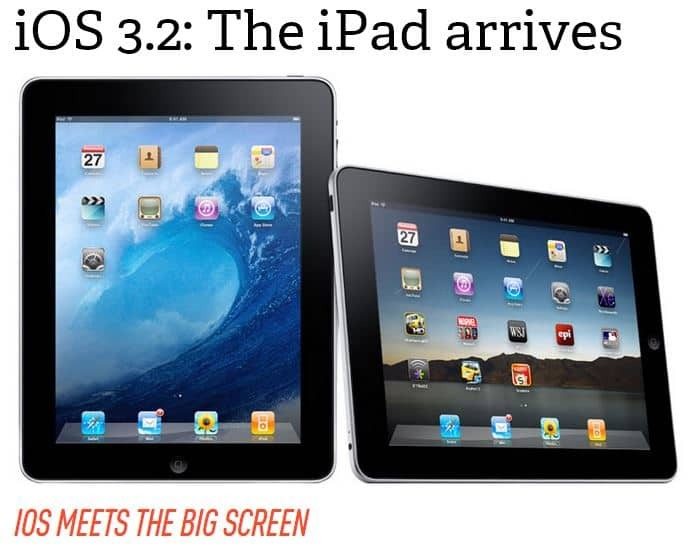 This was the first fragmentation in the iOS platform, as iOS 3.2 and its updates were only for the iPad. It was just a month before the first update rolled out to address the “antennagate” issue and another four updates were to follow over the next few months. iOS 4.1 introduced Game Center, AirPlay popped up in 4.2.1, Verizon support in 4.2.5, and finally personal hotspots to share 3G via Wifi, AirPlay for third-party apps, and iTunes Home Sharing for Wi-Fi access to all your iTunes content in iOS 4.3. The iOS 5.0 platform and the iPhone 4S were important releases for Apple, with Android making serious gains in the smartphone market. There was plenty to capture the imagination as Apple showed a willingness to pull in great functionality inspired by competitors. There was an overhauled Notifications Center, the iMessage app, wireless activation, iTunes syncing via Wifi, and over-the-air updates. The wireless theme was carried over into iCloud (an overdue replacement for MobileMe), but it was virtual assistant Siri that captured the headlines. One year ago at WWDC, iOS 6.0 was unveiled. It introduced some improvements, as always, and a couple of new features, but the big news was Apple Maps and the dumping of Google Maps as the default navigation service. It may have been a bit ambitious, and as various problems were highlighted, it prompted an apology from CEO,Tim Cook. 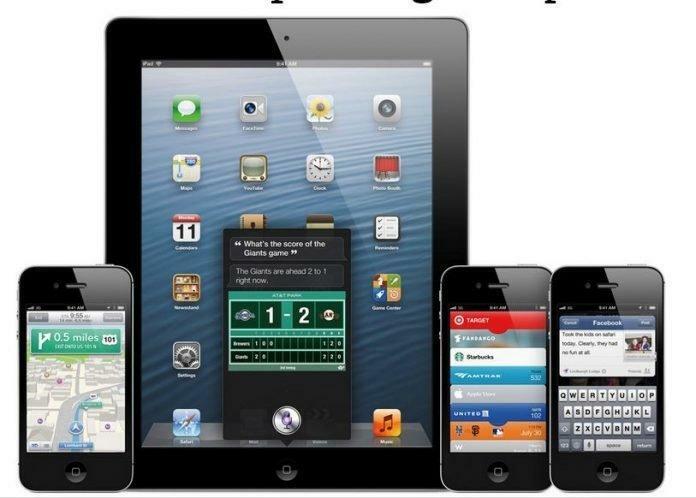 It wasn’t all bad, though, as iOS 6.0 brought enhancements for Siri and the Notification Center, along with FaceTime over cellular, Facebook integration, and baby steps towards mobile payments with the new Passbook app. 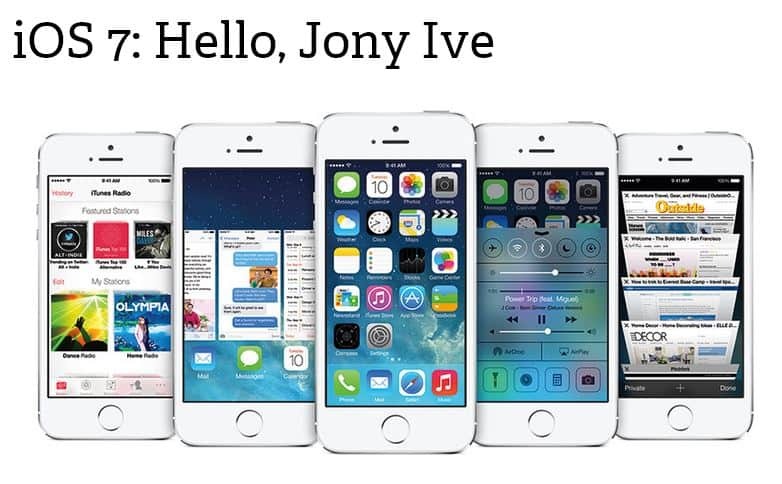 At WWDC Jony Ive introduced a completely new look for the iOS platform. There are newly designed icons, a simplified, flat design, with a new color palette, layers of stacked menu, animated backgrounds, and a depth effect on the wallpaper when you tilt the iPhone. New features include Control Center (quick settings), Multitasking for all apps, Safari update, Siri update, AirDrop for sharing content, Camera update with built-in filters, new Photos app which organizes photos by location or date, automatic app updates, and car integration. There’s also the new iTunes Radio service for music discovery and sharing. iOS 7 is the first iteration to arrive with a pair of phones in tow — the iPhone 5s and 5c. In addition to shipping iOS 7 with the new handsets, Apple is updating all its devices from the iPhone 4 and iPad 2 onwards to the new OS on September 18th. iPod touch support is limited to the latest, fifth-generation model. The key to iOS 7’s new look is layering. The home screen and applications run on a bottom layer, while Apple has added transparency and background blurring within apps to make certain interface elements appear to hover over others. The keyboard and navigation bar in Messages is a good example of layering: text bubbles now slide beneath the newly translucent elements. This UI layering also applies to the refreshed Notification Center, which is similarly translucent, and an all-new feature: Control Center. Despite a comprehensive visual overhaul, iOS 7 has done little to address how we interface with our smartphones. Once again it checks a few boxes, tacking on useful features like Control Center and AirDrop, but it essentially offers the same basic home screen and app switching experience that’s been the hallmark of iOS for some time now. Meanwhile, Windows Phone has shown a different way of thinking about how a mobile operating system can work and Google’s sharing features and widget support make Android arguably a more elegant experience than what Apple is offering. To suggest that companies other than Apple are bringing more innovation into the UI space was once a strange thing, but the truth is that we’ve reached the point where iOS is part of the old guard of mobile operating systems — at least from a user-experience perspective. With the visual redesign mostly out of the way, Jony Ive is now free to rewrite the book on how we interface with our smartphones. In recent years, Apple hasn’t rushed to market with fresh software ideas, instead preferring to take as much time as it feels necessary before unveiling any big changes. Whatever the future may hold, Apple’s willingness to throw out a tried-and-tested design at least gives us hope that broader changes may be on their way. Next articleHas the race to secure links in the supply chain begun?